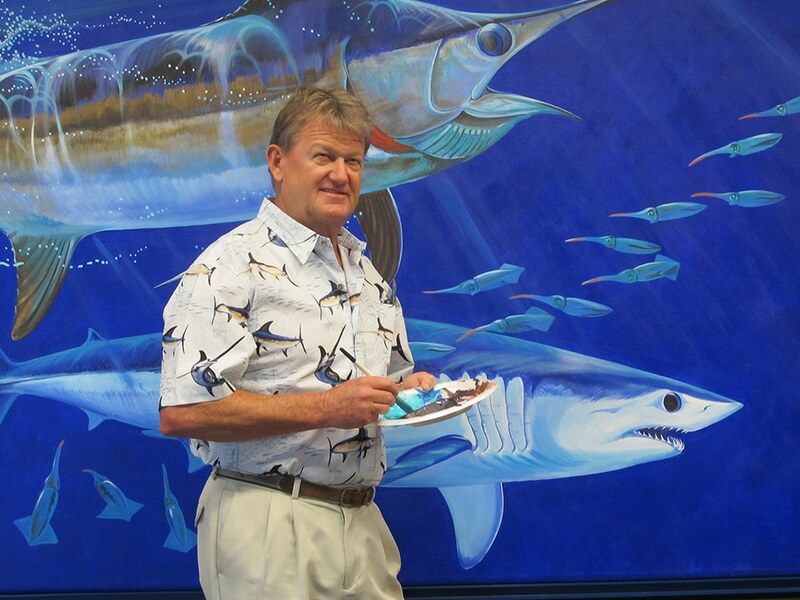 Guy Harvey has spent his life studying and exploring the sea. 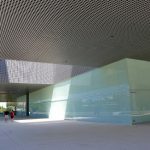 Through his artistic vision, he shares that passion with the world. Harvey was born in 1955 in Bad Lippspringe, Germany while his father served in the British Army. However, Harvey and his family immigrated to Jamaica shortly after, making him a 10th generation Jamaican of English heritage. Living on the island fueled Harvey’s passion for the ocean and its inhabitants. Harvey graduated with honors in marine biology from Aberdeen University in Scotland in 1977 and earned a doctorate from the University of the West Indies in 1982 in fisheries management and fish biology. It wasn’t until 1985, when he created pen-and-ink drawings based on Ernest Hemingway’s “Old Man and the Sea,” that Harvey discovered a love for art. 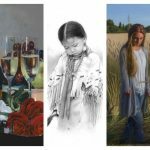 Since then, Harvey has become one of the most renowned marine wildlife artists in the world, bringing his unique insight as an artist, scientist, conservationist, diver, and angler to the forefront. Whether through his artistic vision or the educational efforts of his research organizations, Harvey’s ultimate goal is to emphasize the importance of conserving marine wildlife and their habitats. 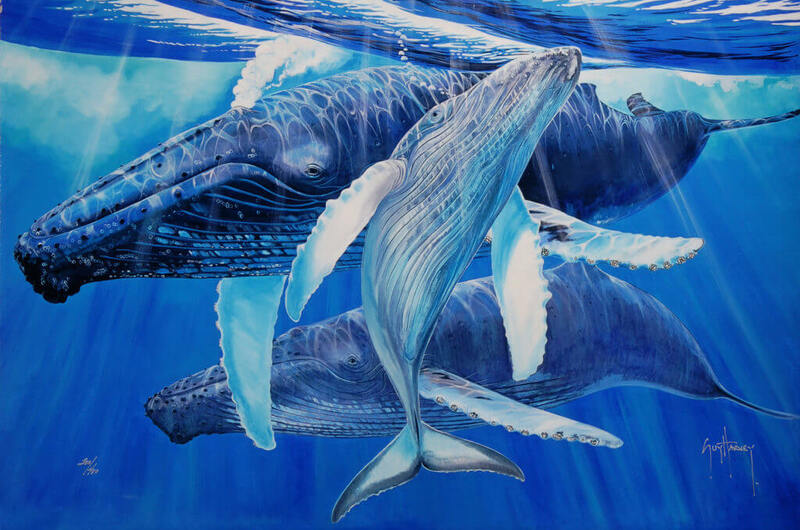 Below are three details highlighting the talents of multi-faceted artist Guy Harvey. Harvey is a professional fishery scientist and marine biologist. When conducting his research in the ‘70s and ‘80s, the need to accurately depict what he was studying was paramount to his work. Aside from photography, Harvey’s main source of documentation was in the form of pen-and-ink drawings. He used techniques known as stippling—creating an image using numerous small dots and specks—and cross-hatching, which is shading a drawing using intersecting lines. Harvey expanded his repertoire to watercolors, oil, and acrylic so he could produce larger images faster and in color. By merging both his studies of marine wildlife and creative studios, Harvey earned a reputation for depicting animals in dynamic poses and with incredible accuracy. “Science really helps in your understanding of portraying the anatomy, the physiology of the animal and the ecology of the animal,” Harvey says. While Harvey’s interest in marine life can be traced back to his family fishing for marlins in Jamaica—including catching his first one in 1973—he admits that reading Hemingway’s novel, “The Old Man and the Sea,” was a defining moment in his career. Inspired by the adventures of Santiago struggling against a marlin, Harvey created 44 pen-and-ink images depicting scenes from the book. Harvey attributes the marlin’s combination of size, speed, and beauty for making it one of his favorite marine animals to portray. Not only does Harvey use his art to bring awareness and funding to ocean conservation efforts, he also actively strives to save the animals and environments he depicts in his artwork. Harvey formed the Guy Harvey Research Institute in 1999 at the Nova Southeastern University in Florida. The institute has published more than 100 peer-reviewed papers, which have led to a better understanding of ocean life. 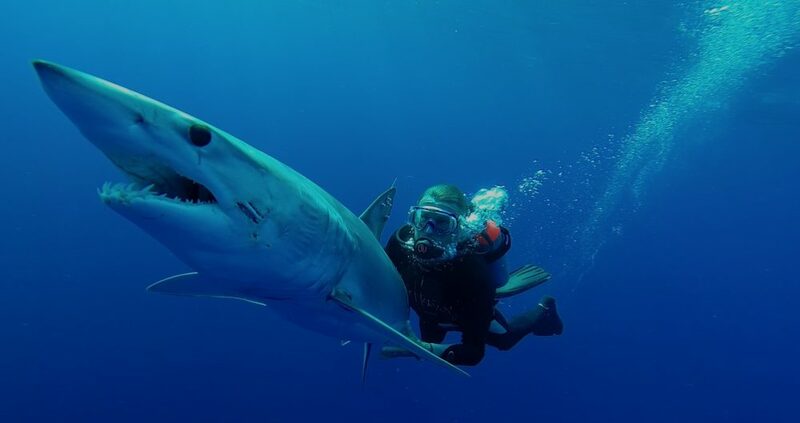 The Guy Harvey Ocean Foundation, formed in 2008, funds scientific research and education initiatives to ensure that marine wildlife and their ecosystems continue to flourish. Harvey’s long list of awards is a testament to his accomplishments in the fields of art and science. Among them are the NOGI Award given in 2004 by the diving industry, the Artists for Conservation Simon Combes Conservation Award in 2011, the Distinguished Artist Award from the Florida House on Capitol Hill in 2013, and the Golden Compass Award in 2016 from Seafarers’ House International. 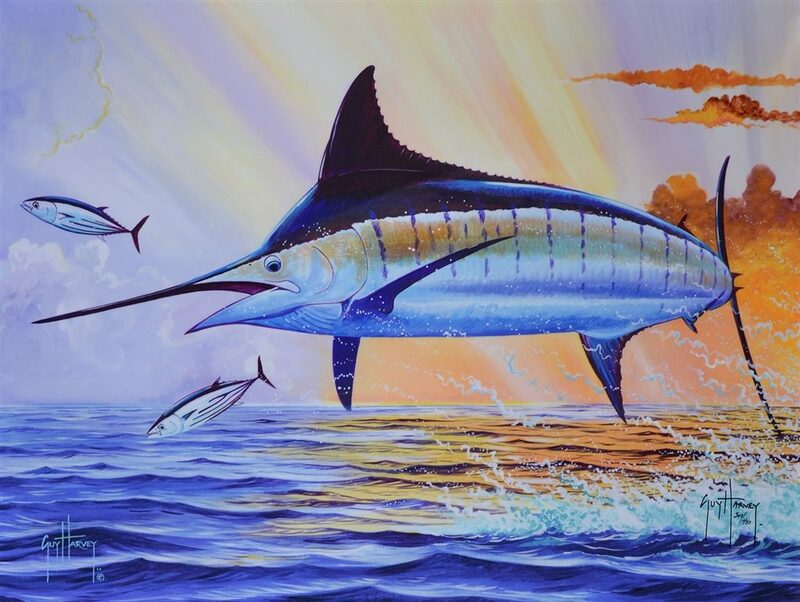 For information on how to collect the art of Guy Harvey, contact our gallery consultants at (800) 521-9654 ext. 4 during business hours or sales@parkwestgallery.com. Guy Harvey has always been an influence to me and my artistic capabilities!!!! His work is so beautiful and enlightening.